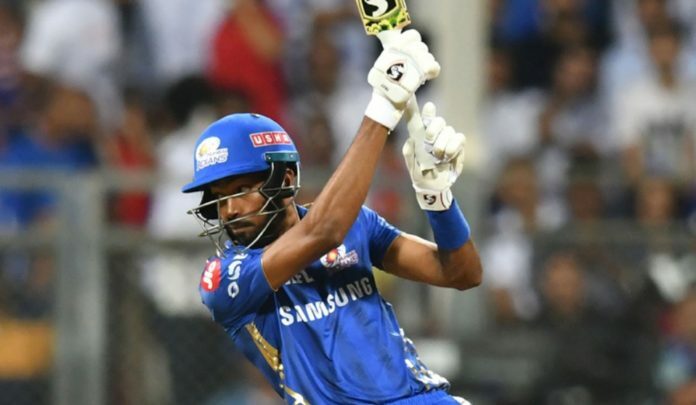 Hardik Pandya was characteristically quirky as well as breathtaking and the highlight was the helicopter shot in front of its synonym, Mahendra Singh Dhoni, as Mumbai Indians humbled Chennai Super Kings by 37 runs during their clash on Wednesday. Invited to bat on a track that offered good bounce, Mumbai scored 29 runs in the final over with Hardik doing the bulk of the scoring, his eight-ball 25-run blitzkrieg bringing the high-flying visitors to earth. Struggling at 50 for three at one point, Mumbai scored 45 runs in the last two overs to post a total of 170 for five and then restricted their rivals at 133 for eight to post their second win in four games. This was the Super Kings’ maiden defeat and they remained on top of the table with six points. The title holders made a poor start in the run chase by losing their top three batsmen Shane Watson, Ambati Rayudu and Suresh Raina within the power play period, with just 33 on the board. Raina was caught off a full-blooded shot by Pollard who took a spectacular one-handed leaping catch just inside the boundary line to send back the free-stroking left-hander for 16 in 15 balls. Kedar Jadhav, who looked good in making 58 runs off 54 balls, with skipper Mahendra Singh Dhoni (12), repaired the damage with a stand of 54. The dismissals of Jadhav, who struck 8 fours and a six, and Dwayne Bravo in quick succession ended the slim hopes of the visitors. For MI, Malinga and Hardik bagged three wickets apiece while Behrendorff secured two. Earlier, MI had a slow start and also lost the wicket of Quinton de Kock in the third over with only eight runs on the board. 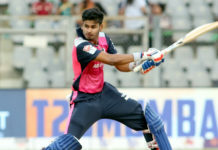 The arrival of Yadav to the crease increased the run rate as he played handsome drives in front of the wicket on both sides off Deepak Chahar, who he hit for three fours in one over, and Shardul Thakur, who gave away three boundaries in his second over. Following the stroke-filled start by Yadav, MI ended with 40 on the board at the end of the power play but then lost skipper Rohit Sharma off the first ball of the 8th over, caught behind off Ravindra Jadeja for 13. Yuvraj Singh, too, flopped, caught just inside the boundary line to leave MI at 50 for three in the 9th over before Yadav and Krunal revived the sagging innings with their half-century stand.